HENRY EVANS was a prolific illustrator and printmaker, focusing solely on botany. His work has been exhibited in galleries and museums throughout the United States, including the Smithsonian Institution, the Field Museum of Natural History in Chicago, and the California Academy of Sciences. 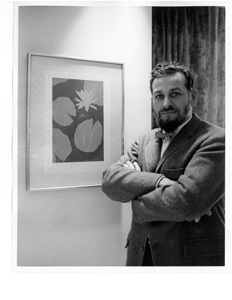 His prints have been admired and collected by botanists, nature lovers, and designers for years.